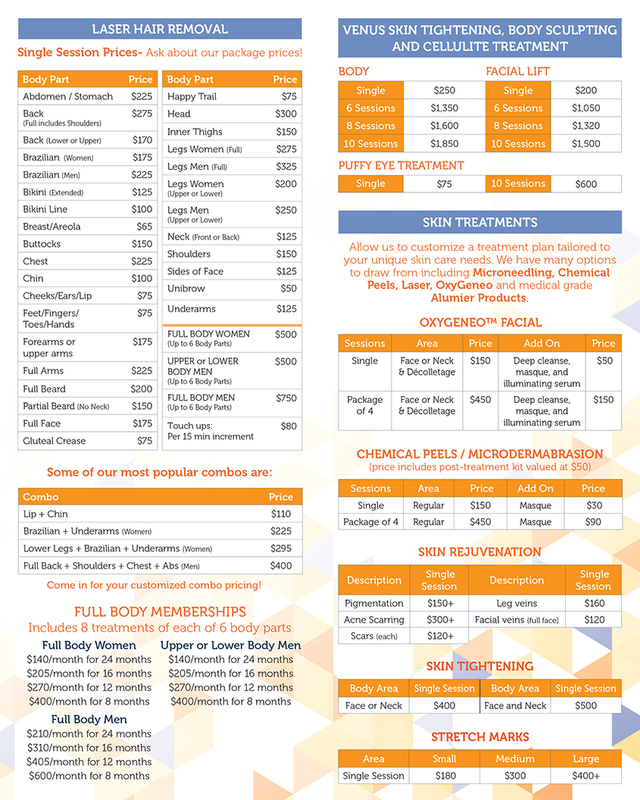 Below is our standard price list. We use this as our a jumping off point & are sometimes able to give deep discounts for combined or multiple treatments. Please check the promotions page for a list of current offers. 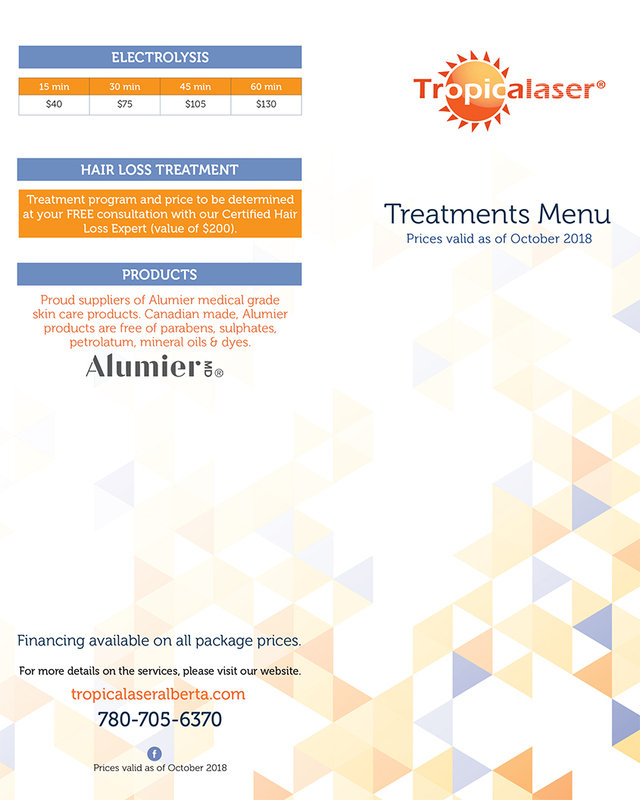 Contact Tropicalaser for laser hair removal and other laser skin treatments in Edmonton, AB.